Hailstorms have been occurring for centuries across the globe. However, some regions of the world, particularly southern China, seem more prone to these destructive storms. High-impact weather (HIW) is defined as weather that can impact safety, property, or socioeconomic activity. Because of the complex topography and monsoon circulation, hailstorms are a prevalent HIW in China. One study analyzed HIW patterns throughout China by distributing meteorological stations in each region—Northeast China, North China, mid-lower Yangtze River valley, South China, Northwest China, and Southwest China. The study analyzed hailstorm occurrences from 1959 through 2014. Interestingly, the annual average days and spells of hailstorms decreased significantly in all regions except for South China. Theories seeking to explain weather patterns across the globe have varied over the years. Nevertheless, the scientists involved in the China HIW study stipulate that global warming is likely to increase the intensity levels of certain types of HIW—notably, thunderstorms and hailstorms. Seemingly consistent with this prediction, southern China has experienced intense hailstorms over the last few years. In April 2011, Guangdong Province endured a hailstorm that affected 5,067.7 hectares of farmland and caused 50 million yuan (or 7.65 million U.S. dollars) of economic loss. This same hailstorm later hit the Guizhou Province of southwestern China and caused 75 million yuan in direct economic losses. Another severe hailstorm pummeled southern China in March 2013, and the region suffered an economic loss of 357 million yuan (or 57.5 million U.S. dollars). At least twelve people were killed by this storm, and over 272 others were injured. In April 2016, egg-sized hail stones showered over southern China and affected over 387,000 people. 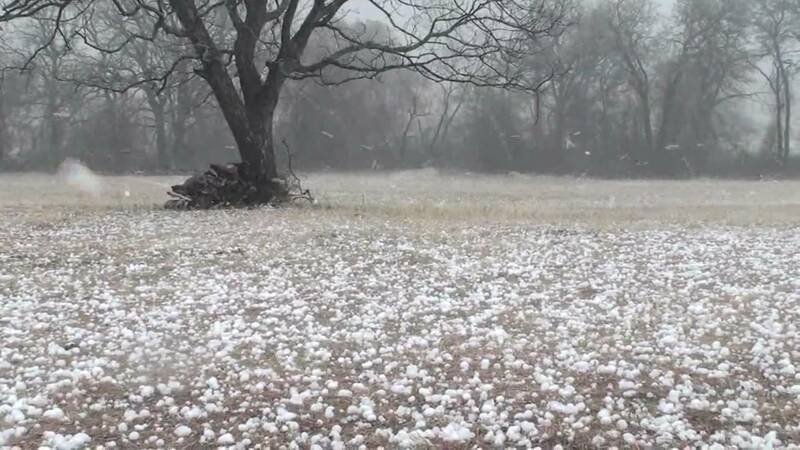 In particular, the Guilin and Liuzhou of the Guangxi region of southern China were hit by the hailstorms. The storm also damaged 5,010 hectares of crops and caused seventy-four homes to collapse, totaling an economic loss of 86.69 million yuan (or 13.4 million U.S. dollars). Most recently, and only a few months after the April 2016 storm, another hailstorm wreaked havoc in southern China. An airbus, travelling from Guangzhou to Chengdu, was pummeled by a hailstorm in July 2016. While the aircraft landed safely, it was severely damaged during its descent. The combination of South China’s potential for large, catastrophic hail events and China’s fast-growing insurance market could result in a large number of litigated hail claims. However, because Chinese courts do not recognize tort liability for wrongful denial of claims, and because Chinese law generally requires judges to conclude civil lawsuits within six months upon acceptance of a complaint, hail claim litigation in China will likely yield distinguishable results from the current hail claim crisis insurers are currently experiencing in the United States.